Be the treasure hunter. Rule over the ocean. Be the Master because king is always one and it would be You!! Itâ€™s a greatest opportunity to you because itâ€™s a free game Unbelievable!! You are sailing the ocean with the strongest and a smartest pirates crew. 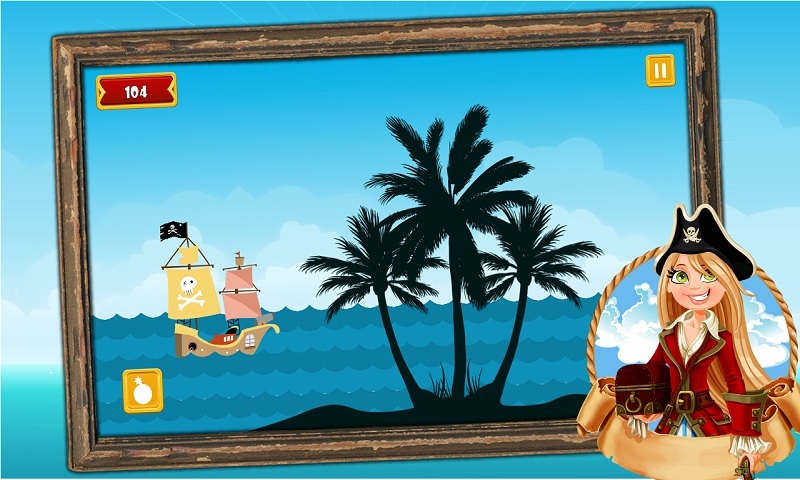 Your journey is for hunting a treasure which is on a castaway island. Castaway island have a biggest treasures on earth which is thousands century old. Off-course itâ€™s not easy to get tons of gold. All the pirates are behind that to get that treasure. There is only two options in your journey that are kill or to be killed. 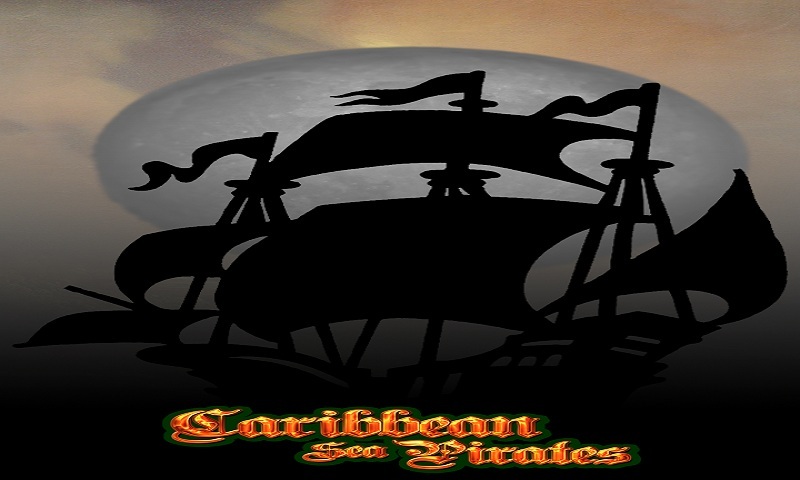 Youâ€™re Pirates Ship Have contain unlimited Ammunition(ammo) and using hydraulic power to jump. Easy handling and having swift moves. Enemies Ships Donâ€™t under estimate your opponent. They have power full ship . They have sharpest crew they never miss a chance to kill you. So be aware from them. Storm of Ocean Any time there would be a sea storm. Ready to face the tallest waves of ocean. If your ship will hit the wave only one option is remain and its to sink. Sharks and Whales Sharks and whale are so hungry because battle is in ocean and on that place where no one go before even form centuries. Kill enemies and make them food of sharks and whales. Donâ€™t hit with them, if you hit them â€¦â€¦ BOOOM. Ship will blast!! Donâ€™t eat your nails, game is not only just interesting itâ€™s a much more than that. Battle, classing, revenges, digging gold, sailing the sea in storm, firing of cannons!! All these can be found in single game! 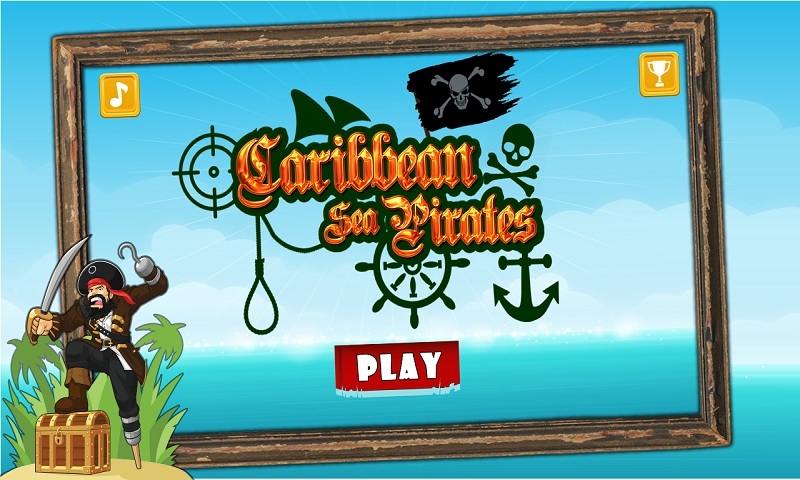 Donâ€™t wait for fun adventure and thrill because itâ€™s just one click away download the game and be the king of Caribbean Sea Pirates! !